I encountered this error numerous times without understanding what was going on, when copying to and from photoshop. This time I have nalied it down while working on small things. When you paste onto the canvas, SHP Builder will make the selection 1 pixel too short vertically, when you then move the selection, you can see the remaining unselected line stays put. This math glitch also affects copying, if you copy the canvas while a shape is selected, it will not copy the full canvas. You first have to remove the selection box by choosing another tool. -when copying a part from one frame to another, the pasted selection appears by default in top left corner. When copy/pasting from one frame to another, the selection should be inserted on the same place from where it was copied. -when copying into a frame and then moving the selection, it will delete everything under it as soon as it's stopped. Thus it's very hard to properly align/adjust a selection (which is always inserted in top left corner). I also don't like this, but fixing this is a lot more involved, and thus lower likelihood with Banshee's workload. 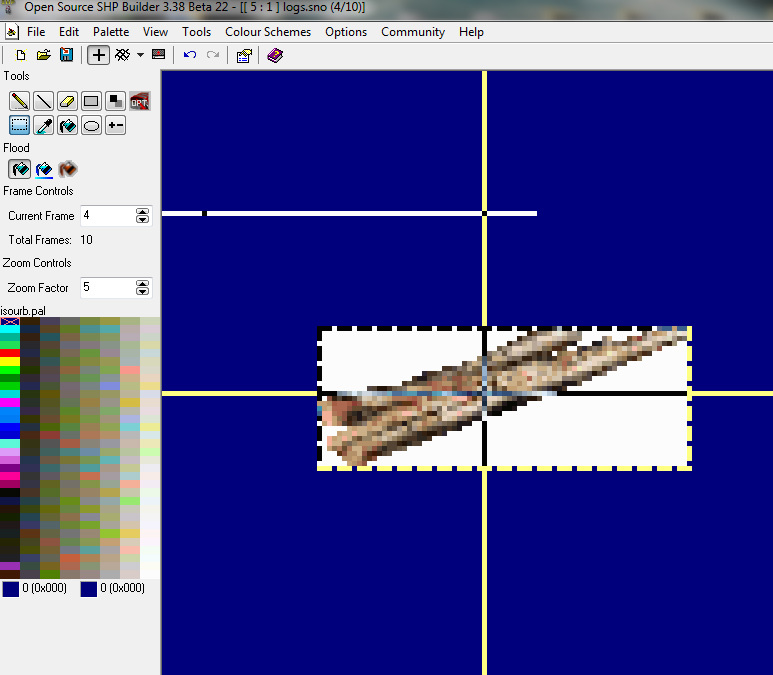 Ideally it should also allow transparency when pasting, that white box around my object is transparent in ps. I'm ok with leaving the selection as a box for easier dragging, but it should honour the visible vs invisible pixels on the canvas.